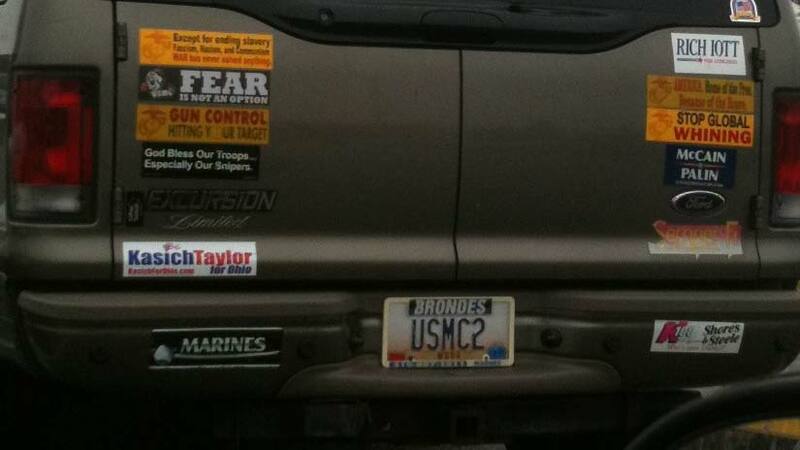 I was going to hold off on the bumper sticker photo below, sent to me by a reader in Ohio. But seeing James Delingpole’s column, Q. Why did God give liberals annoying, whiny voices?, caused me to move it forward. And anyway, once Congress gets back in session in a couple of days, there will be real news about which to whine pontificate. Can we trade Krugman for Delingpole? 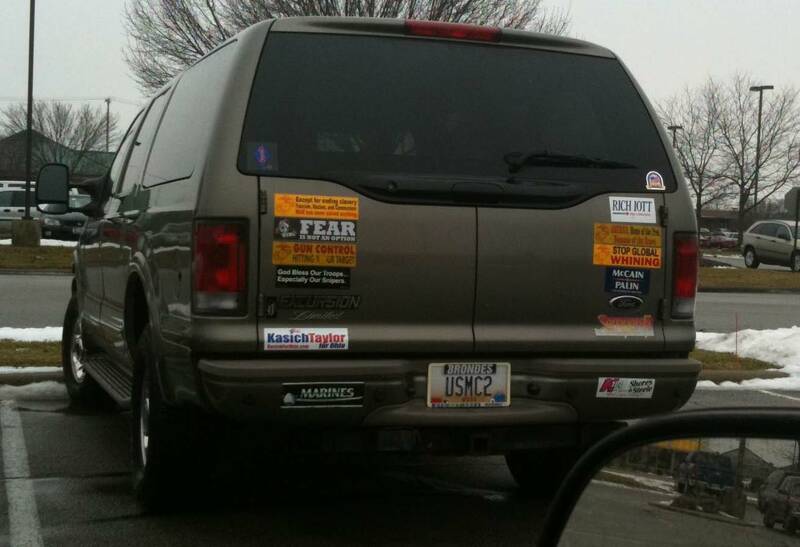 I believe that I know who owns that vehicle. His dad was a Marine Major General, and I believe he was a Gunnery Sargent. Both great men! I saw a bumper sticker that reads: 'Spread My Work Ethic, Not My Wealth' recently…anyone else seen this one?? ?